Its a master piece in its class glorifying your timeless beauty. 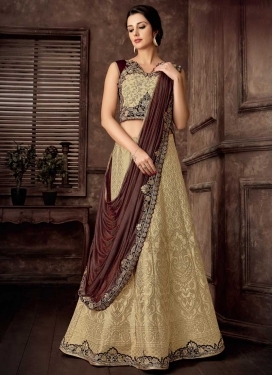 Be ready to slip in the comfort zone of rose pink and wine color raw silk designer lehenga saree. 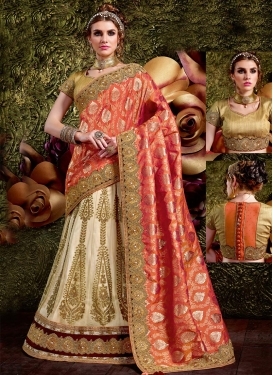 The lovely resham work, stones work, embroidery and lace work throughout the attire is awe inspiring. Product comes with a matching blouse.